How to watch The Manchurian Candidate (2004) on Netflix Australia! Sorry, The Manchurian Candidate is not available on Australian Netflix, but you can unlock it right now in Australia and start watching! With a few simple steps you can change your Netflix region to a country like Argentina and start watching Argentine Netflix, which includes The Manchurian Candidate. 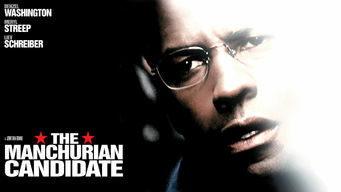 We'll keep checking Netflix Australia for The Manchurian Candidate, and this page will be updated with any changes. The Manchurian Candidate is not available in Australia BUT it can be unlocked and viewed! Two U.S. soldiers in the first Gulf War are programmed to rebel once they return home. Several years later, one becomes a vice presidential candidate. Two soldiers taken prisoner, their minds forever altered. Now home, one will achieve greatness. The other must stop him. There is a way to watch The Manchurian Candidate in Australia, even though it isn't currently available on Netflix locally. What you need is a system that lets you change your Netflix country. With a few simple steps you can be watching The Manchurian Candidate and thousands of other titles!